Date of Birth: June 8, 1930. Personal Status: Married, 5 children, 21 grandchildren, 26 great-grandchildren. 1950: B.S., Mathematics, City College of New York. 1952: S.M., Mathematics, Massachusetts Institute of Technology. 1955: Ph.D., Mathematics, Massachusetts Institute of Technology. Since 1956: Hebrew University of Jerusalem, Mathematics Department. 1964: Associate Professor; 1968: Professor; 2000: Emeritus. 1960-1961: Research Associate, Princeton University, Econometric Research Program. 1964-1965: Visiting Professor, Department of Statistics and Cowles Foundation for Research in Economics, Yale University. 1969-1993: Outside Teacher (part time), Statistics Department, Tel Aviv University. 1971, 1985-1986: Ford Visiting Research Professor of Economics, University of California at Berkeley. 1972, 1978, 1984: Visiting Professor, Center for Operations Research and Econometrics, Universite Catholique de Louvain. 1975-1976, 1980-1981: Visiting Professor of Economics, Stanford University. 1979-1980: Fellow, Institute for Advanced Studies, The Hebrew University. 1984: Member, Institute for Mathematics and its Applications, University of Minnesota. 1985-1986: Member, Mathematical Sciences Research Institute, Berkeley. 1986-1989, 1991-2013: Professor (part time), Center for Game Theory and Department of Economics, Stony Brook University. 1989: Visiting Scholar, Cowles Foundation for Research in Economics, Yale University. Since 1991: Member, Federmann Center for the Study of Rationality, The Hebrew University. 1997: Oskar Morgenstern Visiting Professor of Economics, New York University. 1999-2000: Nemmers Professor of Economics, Northwestern University. Since 1974: Foreign Honorary Member, American Academy of Arts and Sciences. Since 1985: Member, National Academy of Sciences (USA). Since 1989: Member, Israel Academy of Sciences and Humanities. Since 1995: Corresponding Fellow, British Academy. Since 2011: Corresponding Member, Royal Academy of Financial Science and Economics (Spain). 1983: Harvey Prize in Science and Technology (awarded by the Technion -- Israel Institute of Technology). 1994: Israel Prize in Economics. 1995: Lanchester Prize in Operations Research. 1998: Erwin Plein Nemmers Prize in Economics (awarded by Northwestern University). 2002: EMET Prize in Economics (awarded by the Prime Minister of Israel). 2005: Von Neumann Prize in Operations Research Theory. 1988: Honorary Doctorate, University of Bonn. 1989: Honorary Doctorate, Universite Catholique de Louvain. 1992: Honorary Doctorate, University of Chicago. 2006: Honorary Doctorate, City University of New York. 2006: Honorary Doctorate, Bar Ilan University. 2015: Honorary Doctorate, Ben Gurion University. Since 1966: Fellow, Econometric Society. 1982-1985: Executive Committee, Econometric Society. 1990-1992: President, Israel Mathematics Union. Since 1993: Honorary Member, American Economic Association. 1998-2003: President, Game Theory Society. 1970: "A Survey of Economies with a Continuum of Agents," Second World Congress of the Econometric Society, Cambridge. 1972: "Values of Markets with a Continuum of Traders," Walras-Bowley Lecture at the Winter meeting of the Econometric Society, Toronto. 1978: "Recent Developments in the Theory of the Shapley Value," International Congress of Mathematicians, Helsinki. 1980: "Repeated Games," Fourth World Congress of the Econometric Society, Aix-en-Provence. 1991: "Some Thoughts on the Foundations of Game Theory," Ninth International Congress on Logic, Philosophy, and Methodology of the Sciences, Uppsala. 1995: "Old and New Results on Dynamic Games," Fourteenth European Conference on Operational Research, Jerusalem. 1995: "Cooperation between Game-Playing Machines," IJCAI-95 (Fourteenth International Joint Conference on Artificial Intelligence), Montreal. 1996: "Some Applications of Game Theory in the Real World," Fourteenth Latin American Congress of the Econometric Society, Rio de Janeiro. 1999: "Empirical Game Theory: Polls, Experiments, and Reality," Keynote Plenary Lecture, Seventeenth Latin American Congress of the Econometric Society, Cancun. 2000: Presidential Address, First World Congress of the Game Theory Society, Bilbao. 1986: "Cooperation, Rationality, and Bounded Rationality," Nancy L. Schwartz Memorial Lecture, Northwestern University. 1988: "Analysis of a Passage from the Babylonian Talmud in the Light of Game Theory," Elisha Pazner Memorial Lecture, Tel Aviv University. 1990: "Building Trust," David Kinley Memorial Lecture, University of Illinois. 1992: "Consistency," Alfredo Pareto Lecture, Annual meeting of ASSET (Southern European Economic Association), Toulouse. 1992: "Rationality, Knowledge, and Equilibrium," German Bernacer Memorial Lectures, University of Alicante. 1993: " 'As If' Reasoning in Economics and Game Theory," Lionel McKenzie Lecture, University of Rochester. 1994: "Strategic Equilibrium and Population Equilibrium," Kenneth Arrow Lectures, Stanford University. 1998: "Game Theory in the Talmud," Chaim Leib Pekeris Memorial Lecture, Weizmann Institute of Science. 2002: "Rule Rationality versus Act Rationality," Political Economy Lecture Series, Harvard University. 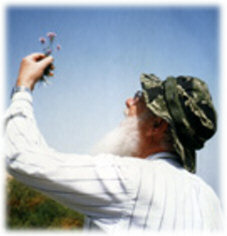 2003: "Rule Rationality versus Act Rationality," Elisha Pazner Memorial Lecture, Tel Aviv University. 1965: Organized (together with M. Maschler) the First International Workshop in Game Theory, Jerusalem. 1975: Organized First Belgian-Israeli Conference in Mathematical Economics and Game Theory, Jerusalem. 1979-1980: Organized Emphasis Year in Game Theory and Mathematical Economics, Institute for Advanced Studies, Jerusalem. Since 1971: Member Editorial Board, International Journal of Game Theory. Since 1974: Member Advisory Board, Journal of Mathematical Economics. 1974-1979: Associate Editor, Journal of Economic Theory. 1975-1979: Area Editor for Game Theory, Mathematics of Operations Research. Since 1979: Member Advisory Board, Mathematics of Operations Research. 1976-1980: Member Editorial Board, SIAM Journal on Applied Mathematics. Since 1989: Member Editorial Board, Games and Economic Behavior. 2000-2015: Associate Editor, Journal of the European Mathematical Society. 1956: Bell Telephone Laboratories, Murray Hill, New Jersey. 1957-1958: U.S. National Bureau of Standards, Washington, D.C.
1962: Princeton University, Econometric Research Program. 1963, 1968: The Rand Corporation, Santa Monica, California. 1964: The University of California at Berkeley, Economics Department. 1971-1993, 1998-2000: Stanford University, Economics Department. 1966-1968: Chairman of the Institute of Mathematics at the Hebrew University.